Starting a new company can be a scary proposition, as it’s never certain that things will work as planned. 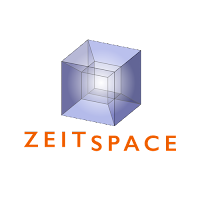 So given that today is Hallowe’en, the scariest day of the year, what better time to formally announce Zeitspace, a new software product design and development consultancy. Why start a consultancy? Well, in this case there’s a pretty specific reason: Boltmade, where I worked, was acquired by Shopify earlier this month. I loved the work that we did at Boltmade — it was great to engage with a diverse range of clients on a variety of projects. The design and technical challenges were invigorating, the people were passionate about the projects that they brought us, and there was plenty of learning along the way. It felt to me that, as much as we had achieved and as far as we had come with Boltmade, there remained so much more to do. As well, Boltmade’s departure leaves a noticeable gap in Waterloo Region’s tech ecosystem. There’s a real need for a company that can reliably deliver design and development services to a range clients. Zeitspace is an opportunity to pick up where Boltmade left off and continue the journey. We’re excited and looking forward to helping our clients create great products. There’ll be more details to share in the coming days and weeks and months — about the team, how we work, what we’re looking to accomplish, and much more. In the meantime, drop by and say hello! This post also appears on the Zeitspace blog under the title Greetings from Zeitspace. Go check it out and follow the company’s adventures!